FrenchEntrée > Guides to Buying your French Property > What will buying your French house cost you? 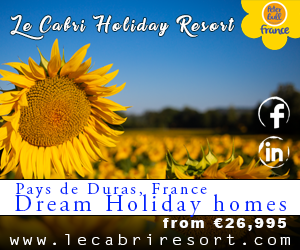 Having found your ideal house in France at what seems like a very reasonable price, it can come as a bit of a shock to those used to property transactions in other countries that the buyer may have to pay the agency fees and is responsible for all the legal fees. This can make your French house up to 20% more expensive than you first budgeted for. How does this come about? You need to find exactly what is included in the asking price, as well as bear in mind the other costs that will be incurred. 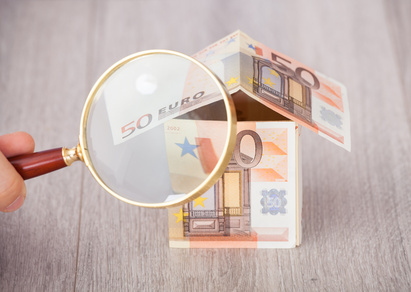 The first things to ask a French estate agent offering houses for sale is ‘Does the price include commission?’ Many French estate agents (immobiliers) include the agent’s commission in the price displayed in their advertisement. ‘FAI’ means ‘frais d’agence inclus’ (agent’s fees included) ‘TTC’ means toutes taxes comprises (all taxes included). If the agent’s fees are included in the price then the vendor is responsible for paying them. If they are not included in the price then it is the purchaser’s responsibility to pay them. The custom varies from place to place. Agent’s fees vary between 5% and 10%. The fees you see quoted will very rarely include the legal fees (notaire’s fees). Some notaires also act as agents and you may see properties advertised in their windows. The level of commission charged by a notaire’s is often lower than agents so it is worth checking these out when searching for a house. Expect to pay 5-6% in most cases. Your legal adviser will be able to tell you what level of notaire’s fees to expect. Although referred to as notaire’s fees, in fact the largest expense included in the ‘notaire’s fees’ is droits de mutation or the equivalent of stamp duty. This amounts to approximately 5.79% of the value of the house. The rest of the fees are mainly made up of expenses associated with registration at the land registry as well as payment for the notaire’s work. If you are using a loan for the purchase, to be registered on the French property you will have to pay a loan registration fee, which can be 1-3% of the value of the loan depending on the type of charge taken by the lender. This may be a good reason for increasing the mortgage on your main home instead. Usually, there is only one notaire acting for both parties. However, you may appoint a separate one if you wish. If you do, this will make no difference to the fees you pay, which are shared between the two notaires. In most cases, it is well worth paying for legal representation in your own country. The notaire has a duty of care to all his clients but will not necessarily speak good enough English to make you fully aware of the contents of what you are signing. He/she will not necessarily understand the foreign point of view with regard to succession and inheritance matters either. Your own lawyer will explain everything to you, liaise with the notaire for you and give advice on all aspects of the purchase. Fees vary. Some lawyers charge on a fixed fee basis, others on a time-spent basis. Find out exactly how you will be charged and what is covered in fixed fees. When searching for a French property, some people will choose to enlist a professional buyer’s agent because of their local knowledge, experience of buying in France and negotiation skills. Their fees are usually expressed as a percentage of the purchase price, or in some cases an agreed flat fee. You will usually be asked for a deposit of 10% of the purchase price. For higher value properties this is often reduced to 5%. It has become customary to pay the deposit at the time the initial contract is signed. It is safe to pay the deposit into a notaire’s account in escrow. If you are asked to pay it to an agent, ensure that they have a proper holding account for the purpose of keeping clients’ deposits (compte sequestrée). If you withdraw during your 7-day cooling off period, the holder has a legal obligation to return the deposit to you within 21 days. One other expense to bear in mind is the cost of converting your currency to euros, and the implications of any exchange rate changes. 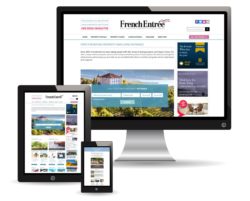 See FrenchEntrée.com’s Currency Exchange Zone for advice on buying euros for your French house. A currency exchange company will allow you to set the rate in advance so you know exactly what you will pay. Although the costs associated with a French purchase are high, house prices are generally lower and as long as you are forewarned, you can incorporate these fees into your budget so you should not go too far wrong.